Las Vegas Bus Sales has a very wide selection of different buses that are on sale. They are located at two of their full service locations. 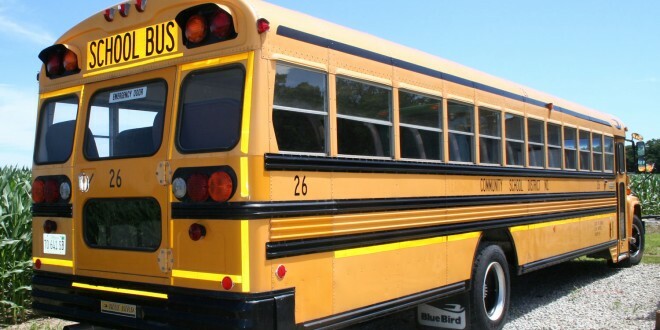 The buses are new or pre-owned but still in excellent running condition and absolutely rust free. For orders on new buses, the buying options include stock and factory direct buses that have been equipped according to your specifications from the most trusted bus manufacturers in the nation. The company’s bus sales facility is located in Las Vegas, Nevada which is only moments away from the McCarran International Airport strip. This makes it easier and more convenient for both the national and international customers who visit the bus dealership. The company also provides transportation from the airport or the hotel you are staying at to their facility for easier access and convenience. All a customer has to do is inform them beforehand of their impending visit. The company also stocks the largest selection of pre-owned buses in North America. The buses are grouped in different categories which include Coach Buses, Shuttle buses, new buses, Transit buses, Trolley buses and School buses. The lasvegasbussales.com website also has on its listings Northwest buses which are the buses stocked by Las Vegas Bus Sales’ sister company, Northwest Bus sales Inc. This is the Seattle location where more buses can be found if you miss the kind of bus you want on the listings given by Las Vegas Bus Sales. The bus sales facility at the Seattle location is located just south of Seattle a few minutes from the Sea-Tac International Airport. It is possible to have a viewing of the buses available on the bus sales facility lot. The office hours start at 8.00 am and end at 5.00 pm every Monday to Friday and are only open on Saturdays by appointment only. The company can be contacted via phone or email. You can search the inventory of buses available by inputting the category, make, model and year of manufacture. The company sells to the United States, Mexico, Canada and beyond and has various makes including Setra, Starcraft, MCI, Prevost, Neoplan, Thomas, Bluebird, Vanhool, Ameritrans, Krystal, Eldorado, Goshen, Turtle Top, Elkhart Coach, Federal, Terra Transit, Champion, Metrotrans and many more. There is always a large selection of ADA buses, mini buses, paratransit buses, highway coaches, and school and shuttle buses available. The company also buys buses and you can call and get a price.